For your fast Free Estimate call 855-938-7273 now! Their diet consists of insects, grubs, worms, beetles and ants. They do have poor eye sight and rely on their ears to warn them about there surroundings. 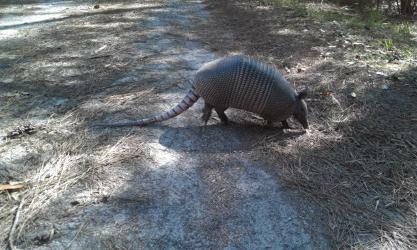 Armadillos have a hairy belly. Armadillos uproot flowers and plants in search of food. They can easily burrow under foundations such as your home, driveways, trees and other structures. It is common that they make burrows as large as a king size bed and in dense foliage, such as a thick bush or a tree. This provides shade with cool damp soil. Your Florida Wildlife Removal expert will assess the damage caused by the nuisance armadillos and provide solutions not only for repairing the damaged area but will also present a prevention strategy, which may include deterrents for your home or business. 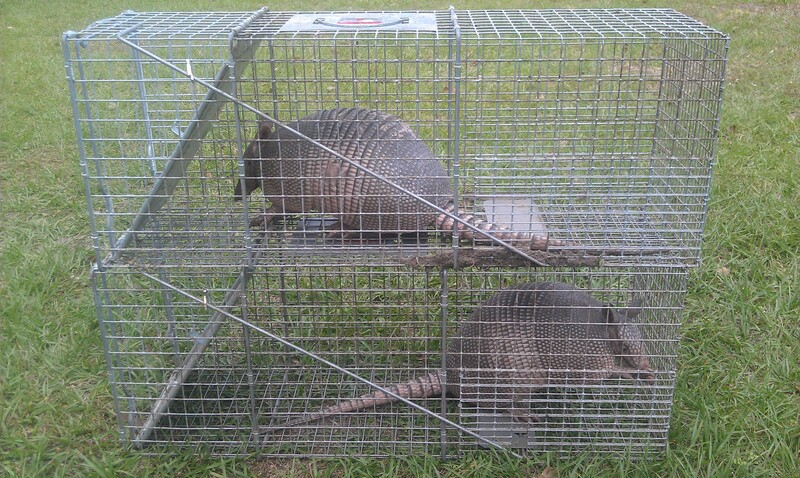 We only practice humane armadillo capture and release trapping techniques. The sooner the issue is handled and addressed, the less over all damage they will cause on your property.